Enjoy that ultimate top-down driving experience with even more ease. The last thing you want to do is wait for your top to go up or down, demanding you to stay parked and hold a button down. 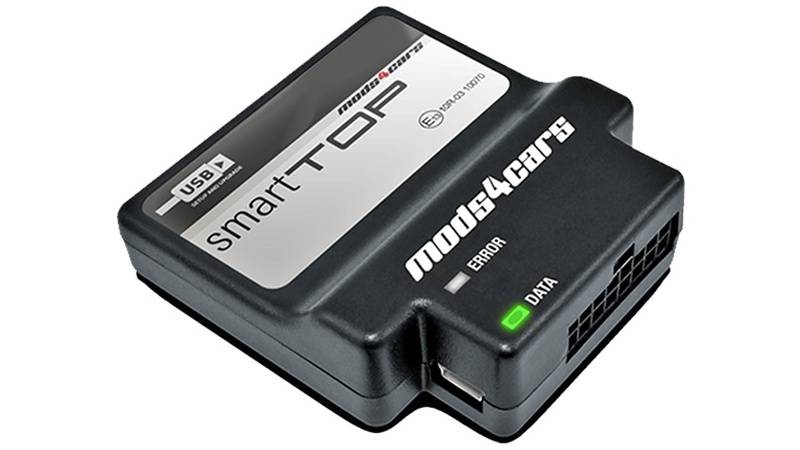 Now the BMW 1 Series, 3 Series, 6 Series, Z4 SmartTOP module allows you to operate your BMW Convertible top by using your Factory Key Fob as you walk up to, or away from your vehicle. Can‘t wait? You can even put the top up or down while driving up to 40 kmh / 25 mph. Factory Key Fob to remotely control the convertible top.